Quick carpet is full service flooring provider. We take every step to ensure your happiness and satisfaction. We offer our expertise in the following flooring services: Carpet, Hardwood, Vinyl, Laminate Floors and others. Whether you choose a loop pile or a cut pile carpet you will be very happy with it. Quick Carpet offer various carpeting choices, so that you can get the carpet that will best suit your home and family. 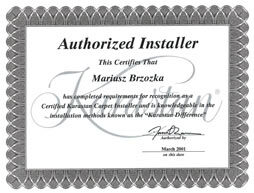 Our installers are highly trained, certified installation experts. Our goal is to ensure everything we do for you is professional and stress-free. We will remove the existing floor, put in your new flooring and have your newly renovated room completed before you know it. As a small family owned business, that has been around for over 25 years. If you have any questions regarding any of our services or products, we will make sure you get everything that you need regarding a flooring choice. We provide carpet and flooring installation services for our local community. If any problems should arise with an installation job, we guarantee that will be out right away to get it fixed, in no time at all. 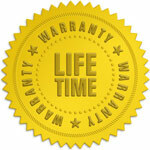 Great Warranties All of our products have outstanding manufacture warranties and we even back up our labor with lifetime warranty. Yes, we even beat out the larger flooring companies around Detroit, because of our ability to remove the middle man and never apply any hidden cost. Why would you want to choose Quick carpet? – No floor and design job is to big or small. We have a great reputation for our floor installation. Our commercial and residential flooring installations and sales have no limits! We are a trusted BBB accredited business. Very reasonable prices, especially on installation and good selection. Very happy, quick turnaround on measuring and personal service. Each installation comes with the same dedication to a job well done. That is why Quick Carpet offer a Lifetime Installation Warranty. If something happens to your carpet that is installation related, we will be back to make it right at any point. Contact us online or call us today to schedule a free in home estimate. We offer estimates free of charge to all our customers to ensure you are satisfied with your product before you buy it. Whether you need new carpet, hardwood floors, or are remodeling or refinishing your existing flooring, we can help you decide which products and finishes to use. Most of our carpets are quoted at the installed price, there are no hidden fees or charges. This price will include the estimate and measure as well as removal and disposal of your old carpet. Quick Carpet offers professional flooring installation for all flooring products. We install any type of flooring quickly and without disturbing the rest of your home. Quick carpet offers affordable flooring prices and quality installation. We makes sure the job gets done right and quickly so you’ll be enjoying that new carpet, tile or hardwood in no time. We use high quality pad for our carpet flooring. Owner Operated with over 20 years experience. Macomb, Shelby Township, Troy, Sterling Heights, Royal Oak, Birmingham, West Bloomfield, Grosse Pointe, Metro Detroit, Rochester, Bloomfield Township, Farmington, Novi, Livonia, Madison Heights, Saint Clair Shores, Harrison Township, Washington Township, Mount Clements, Ferndale, Warren. – Evening & weekend appointments available!